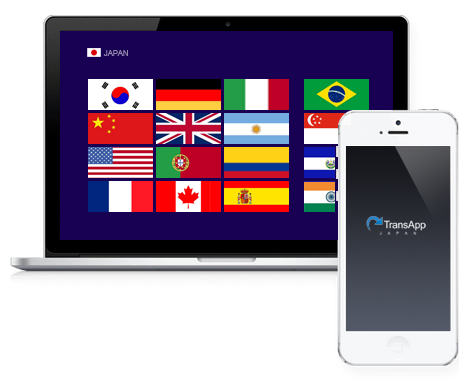 TransApp handles not only translation but post-translation promotion. We promote via Japanese media, and work to acquire new users for your app. *Promotional services are optional. The iPhone/Android App Translation Team combines a network of over 500 professional translators with experienced app development engineers. Apps are localized in order to readily appeal to target Japanese users, with reference to the application’s features, in-game environment, target audience and so on. After translating your app, we can carry out promotion in Japanese media, helping you to attract users. *Promotion service is separate from translation. Please inquire for details. *Please contact us regarding other languages. Rates *Translation fee for posting to Japanese review sites is a flat 260 USD. We can handle submissions to approximately 80 app review sites in Japan. Translation and application takes about five business days following receipt of the completed request form. *Note: Site listings cannot be guaranteed. ASO, Mobile Ad Networks, CPA programs, PPC, Video Promotion, PR & Guest blogging, community management, and even more.